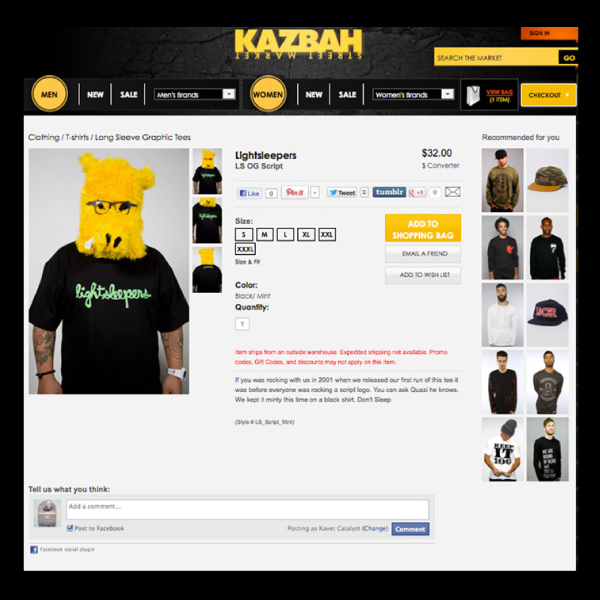 We keep it moving in the One Three, with an update of our Karmaloop Kazbah. It has been slow and steady but we have been expanding the LS reaches. Pittsburgh, Missouri, and Rhode Island, places that were pretty much LS-less now have reps.
Shout out to AngryWoebots for introducing us to Quasimoto. Really cool dude and down to model like a champ. We might be getting his homie for a later shoot. We hustling and big ups to Fully Laced for added guidance and advice on how to go about navigating the Karmaloop world. More to come from us, mos def, don’t sleep.